With the newest mystery game from WorldWinner, you can now play Clue Mystery Match online, for free, against players from all over the world! Clue Mystery Match is a classic game of “whodunit?” in which players match identical cards in three separate rounds to identify the murder weapon, location and perpetrator of the crime through the process of elimination. Was it Col. Mustard in the cellar with a revolver? All of CLUE’s classic characters make a cameo in CLUE Mystery Match! 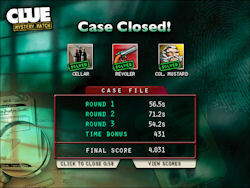 Clue Mystery Match is the fourth in a series of Hasbro titles added to the WorldWinner roster of online cash competitions. The game builds on the successes of SCRABBLE Cubes and MONOPOLY Downtown, which are both WorldWinner fan favorites. In addition to the recently unveiled Trivial Pursuit Turbo, WorldWinner will soon add cash competitions of Hasbro’s TWISTER and BATTLESHIP to the online game site’s roster. WorldWinner’s CLUE Mystery Match! 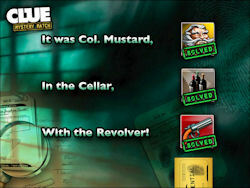 is a memory game where players uncover one element of the murder mystery in each round of match making. The one remaining unmatched card at the end of each round leads players to the murder weapon, location and suspect. When a match of two cards is removed from the board, players have the added challenge of the “gravity affect” where remaining cards collapse in to the now open spaces. Players score points for making matches as well as a time bonus based on how quickly all matches are made. 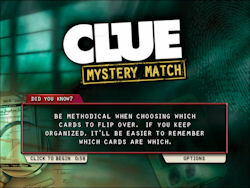 Play CLUE Mystery Match online with WorldWinner, and start winning money finding hidden objects! 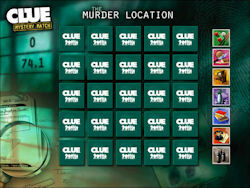 Also, be sure to check out our full selection of Clue games at Mystery Game Central! Bring this back please. 0 places to play Clue Online right now.